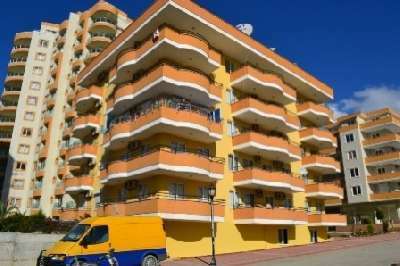 Orchard Apartments are located in the very popular holiday village of Mahmutlar close to the city of Alanya. This well-kept complex is a 5 storey building with a swimming pool and a caretaker who lives on site. It is adjacent to the main shopping area with good supermarkets, pharmacies, bars and restaurants and is only 300 m to the beach. 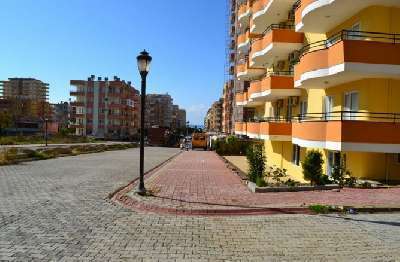 The apartment for sale in Mahmutlar is a penthouse with a private balcony where you can relax and enjoy the fabulous views. The property comprises an open plan lounge with dining area, a kitchen fitted with everything needed for self-catering, 4 bedrooms and 2 bathrooms. The apartment has air conditioning throughout and has never been used, so is in great condition. The centre of Mahmutlar boasts many shops and supermarkets and on Tuesdays and Thursdays, there is a local market selling fresh fruit and vegetables, clothes and shoes and many different, local produce. Alanya is close by with a wide variety of bars and restaurants and there is an excellent bus service to all local towns and villages. 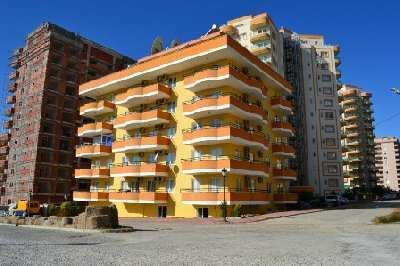 Mahmutlar offers a quiet and relaxed atmosphere, set in beautiful surroundings and boasting a long beach promenade, an excellent place to buy a holiday home in Turkey. 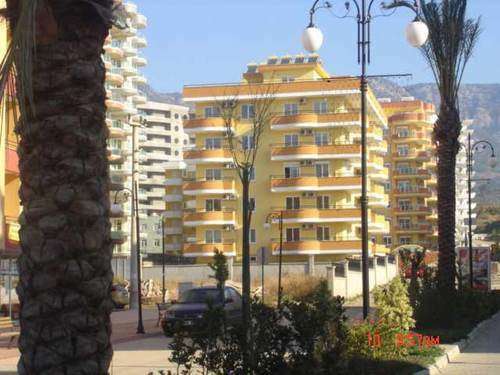 The apartment is as new, has never been used and is ideal for either rental or holiday use.